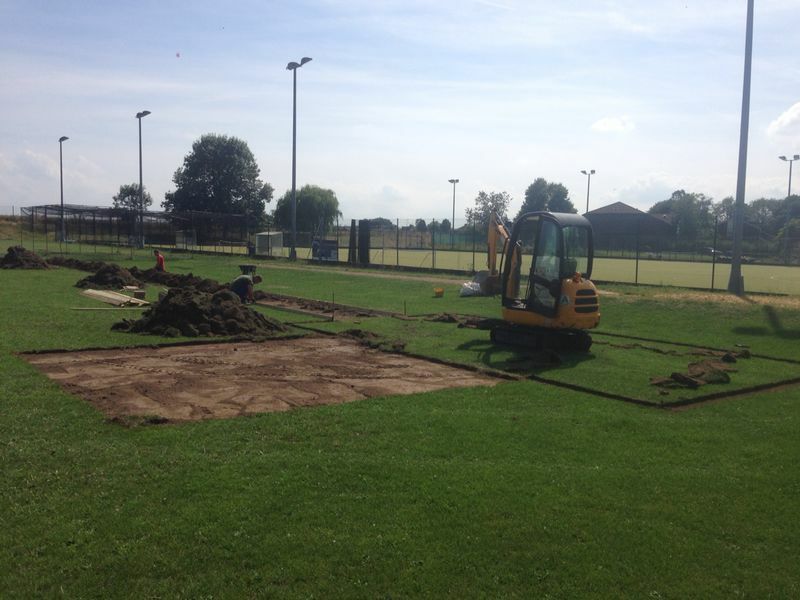 Our team of experts are able to carry out long jump pit construction for many facilities across the UK. There are a range of designs available and we often work with schools and clubs to create bespoke jumping tracks. As this is one of the most popular athletics sporting events, these facilities are becoming much more popular in a number of locations. The installation work will vary for each project, but we’ll put together the perfect design for you which suits your budget and the people using the area. Feel free to get in touch with our team today if you need some more advice on what we offer with regards to construction. All you need to do is complete our contact form and let us know what you’re looking for so we can give you with right information. One of our experts will also be able to give you an idea of costs for completing the work. 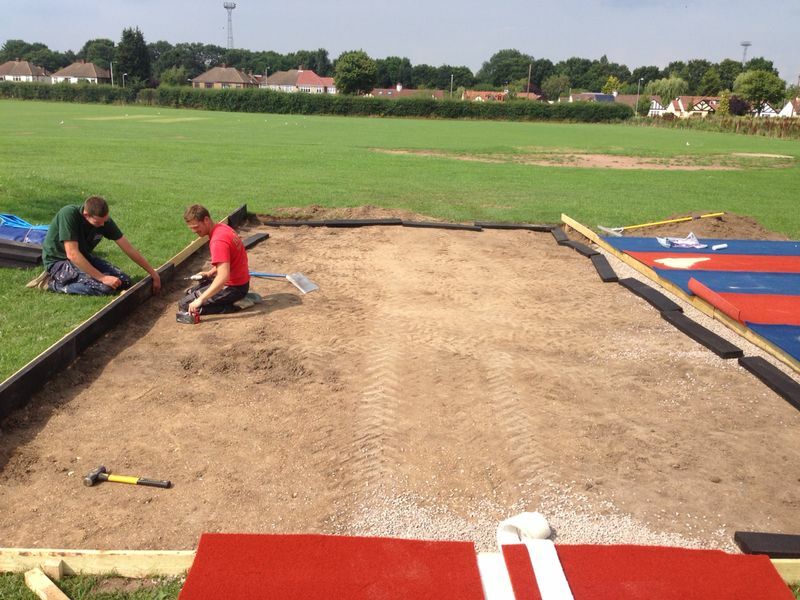 Long jump pit construction within the UK can vary depending on the customer’s budgets and generally there are two types of pits with runways specification – these are the MultiSport™ synthetic surfacing design or a polymeric rubber flooring specification. We are able to install both of these to fit a range of sizes and colours, so you can fully customise the final product. 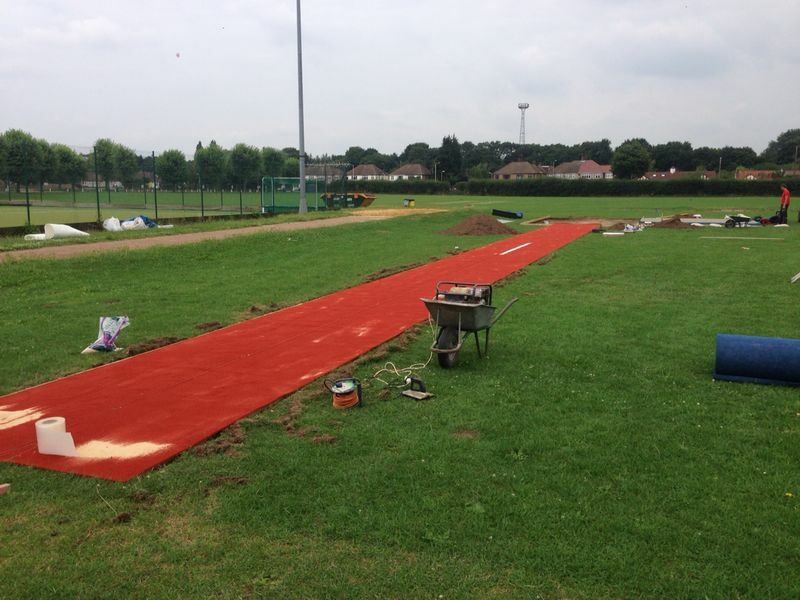 The construction process for polymeric athletics surfacing is made up using an engineered sub base with a coloured polymeric rubber surface which can have removable take off boards built in to the final construction. The rubberised surface is available in a wide range of different colours however is often installed using a 12mm red tartan tack EPDM. 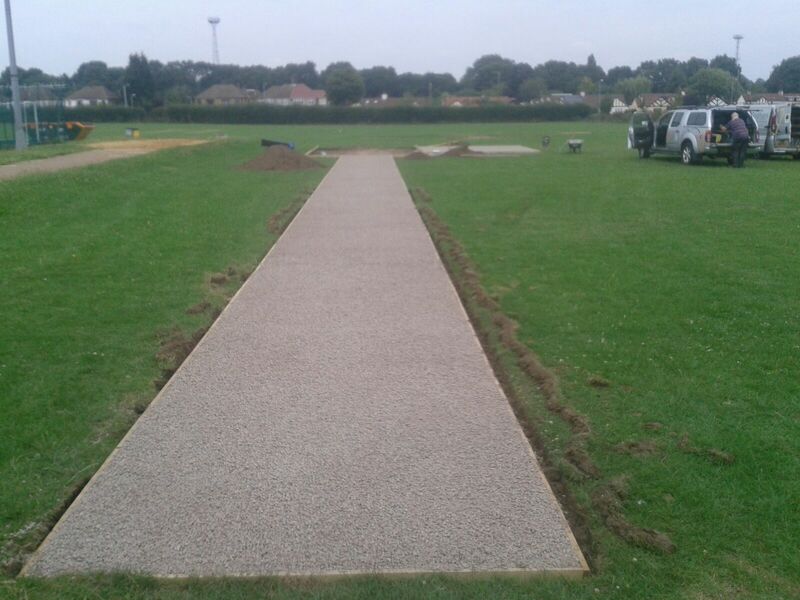 As long jump runway builders within the UK we are also able to offer the most durable, hard wearing specification on the market which is the MultiSport™ surfacing and this design on the sub base is slightly different as we are able to install this product onto a dynamic sub base. The Multisport™ synthetic turf is both hard wearing and extremely aesthetically pleasing available in the standard track red along with a range of other colours that do not fade as easily under sunlight. This UV stability allows the synthetic jumping track surface to retain colour after the construction and therefore maintain its appearance for much longer. 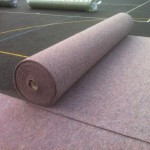 The large density of curly yarn fibres do not become as slippery and unsafe when wet and is a fantastic top of the range all round athletics sports surface. 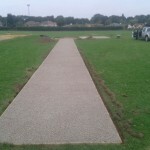 Primary Schools – Often opt for the Multisport™ synthetic long jump with multi coloured lanes for different age groups. This offers a child friendly, bespoke design which looks fantastic and lasts for many years in top condition. 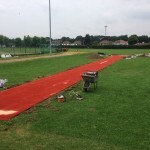 Secondary School – Synthetic turf surface in tartan red track to provide a professional athletics appearance and standard that lasts. The curly yarn fibres do not become slippery when wet so can be used year round as athletic practice tracks. Colleges – Polymeric/ Multisport™ surfacing with synthetic mowing strip and rubber edges for added safety. Universities – Polymeric rubber surface with removable take off boards for different athletic events. Sports Clubs – Multisport™ synthetic surfacing is less prone to vandalism and will outlast most other surfaces after construction. Have a look at this video which shows a runway renovation project that we completed in Bradford. The existing runway was replaced with a brand new runway in Multisport synthetic needlepunch turf which is a very strong and durable surface type. 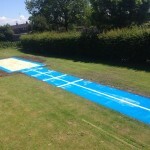 This particular client chose to have their long jump run up installed in a multi coloured rainbow design. 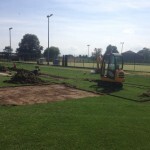 We have completed many projects like this as well as carrying out installation work on completely new facilities. It completely depends on the existing conditions of the area and what is needed by the client, but we can accommodate any requirements you may have. 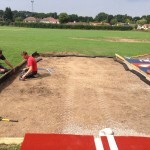 For more information on these athletics surfaces including designs, size and dimensions, specifications and prices, please fill out the contact form on this page and we will be in touch with professional advice regarding long jump pit construction. Our experts have plenty of experience in carrying out this work, so we’ll be able to answer any questions you may have. We’ll also provide you with a quote for the project, so be sure to let us know if you have any budget requirements you’d like us to stick to.